The Broadway League hosts an annual free outdoor concert featuring performances from Broadway’s current musicals call Stars in the Alley. 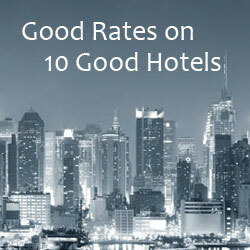 The concert is held around the time of the Tony Awards, usually late May or early June. The concert is a great way to see live performances of scenes from current Broadway shows, free of charge. The 2017 Stars in the Alley concert is Friday, June 2nd at 1:00 p.m. The event is held rain or shine. Scheduled appearances for the 2017 event include Jenn Colella (Come From Away), Rachel Bay Jones (Dear Evan Hansen), Dave Malloy (Natasha, Pierre & The Great Comet of 1812), John Douglas Thompson and Ruben Santiago-Hudson (August Wilson’s Jitney), Richard Thomas (The Little Foxes), Eva Noblezada (Miss Saigon), Corey Hawkins (Six Degrees of Separation), Johanna Day and Michelle Wilson (Sweat) and performances from Anastasia, Bandstand, Come From Away, Dear Evan Hansen, Groundhog Day the Musical, Miss Saigon, and Natasha, Pierre & The Great Comet of 1812. 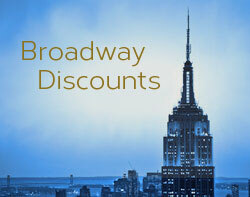 Visit the Broadway League website for details and updates. The concert is held in Shubert Alley (between 44th & 45th Streets, west of 7th Avenue). 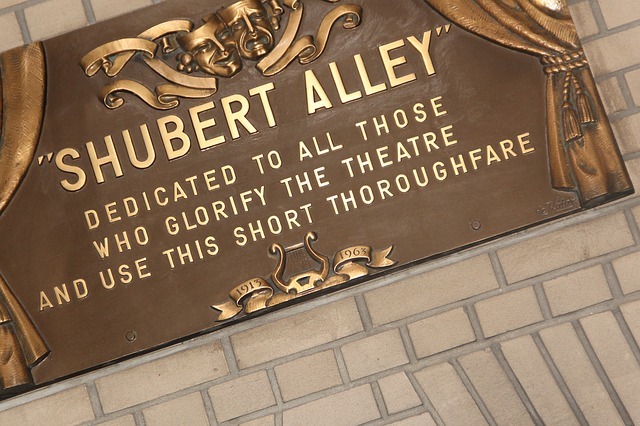 Shubert Alley is a pedestrian thoroughfare that is considered to be the center of New York’s theater district.